The Pinnacle property was built with a master plan that highlights and preserves the natural environment and provides a private setting for each of the Main House and the Guest Cottage. Whether you're new to Maui or familiar with the beauty of this special island, we invite you to discover OUR Maui. A vacation in Upcountry Maui is an opportunity to escape from the hustle and bustle, and experience a different side of Maui. Set just a few hundred feet above sea level, Pinnacle sits outside the rain band, on the edge of a hill, at the entrance to the quiet, rural town of Haiku. Just one mile down the road is the town center, with a variety of amenities and services. Be sure to visit Donnie at Go Cycling Maui. They offer the ultimate cycling tour experience, treating you like a professional cyclist (sort of like a fantasy camp for cyclists). They are also a full service bike shop with high end rentals. Haleakala Bike Company is also located in Haiku, and offer a very different service. They drive to the Haleakala park gate and provide a bike for you to cycle down at your own pace. For a quick hike, be sure to visit Twin Falls (about 10-15 minutes by car from Pinnacle) and hike up the stream to the waterfalls. They're a bit chilly, but there's nothing like swimming under a waterfall. If you want to soar over a gulch, the Piiholo Zipline is a short ten minute drive from Pinnacle. For upscale dining, Mama's Fish House and Haliimaile General Store (two of Maui's best restaurants) are within ten minutes by car. 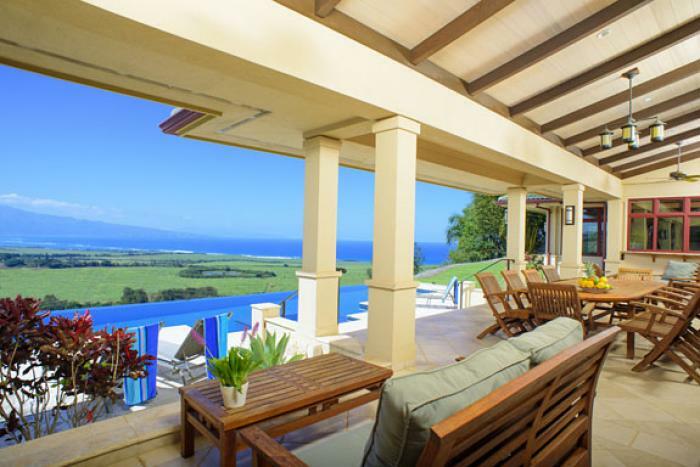 If you are looking for more options, Paia or Makawao are only ten minutes by car from Pinnacle. Haiku town center has two small grocery stores - Haiku Grocery, and Fukushima's. Although small in size, they seem to have almost everything you might want. For major grocery shopping, Safeway and Costco are located in Kahului (approx. 20 minutes from the house). We hope that you won't be working on vacation, but if necessary, Haiku town center has a post office. (Note: Pinnacle also provides high speed wireless internet) in both the Guest Cottage and the Main House.